We all know about Black Friday and many of us get excited about Cyber Monday as well. But the last few years a new tradition has emerged to help us kick off the holiday season in a way that gives back to others. A global movement has begun to observe the Tuesday after Thanksgiving as Giving Tuesday. This year the Western Iowa Synod's Companion Synod Network invites you consider using Giving Tuesday as an opportunity to make a gift to help people in southern Tanzania dramatically improve their income and their standard of living. We are kicking off a campaign to raise $64,000 for that purpose. This money will establish 8 new Savings and Credit Cooperative Societies or SACCOS. Each SACCOS will offer micro loans to people like Edita Sanga pictured above. 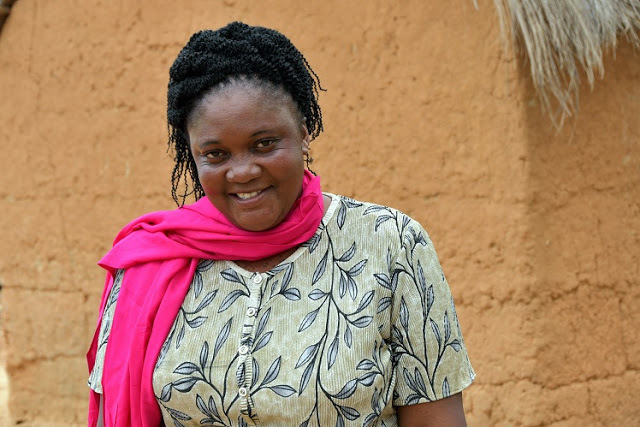 SACCOS loans have enabled Edita to boost her income from almost nothing to more than $2000 a year. You can find out more about Edita's story, the SACCOS project and ways that you can help by simply clicking on the button below. So mark your calendars, spread the word and watch for more information. Together we can make a real difference in the lives of people like Edita on Giving Tuesday.